If battery life is a top priority, the Z5 Compact appears a lot more promising, at least on paper. Smaller 4.6-inch display with 720p resolution and a 2,700mAh cell sure looks like a winner, provided Snapdragon 810 doesn't completely botch things up. 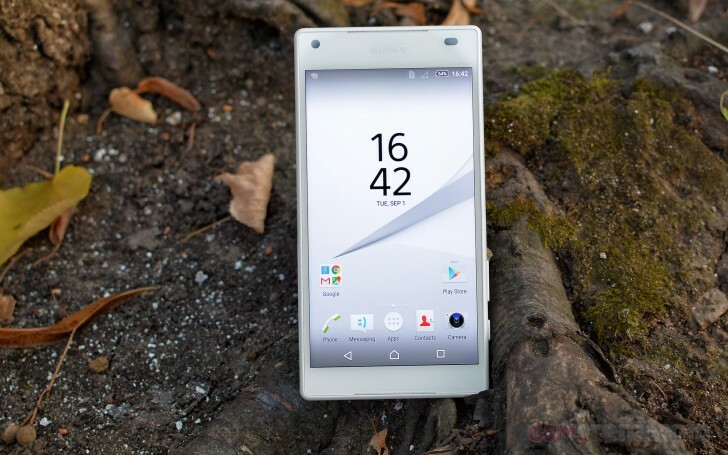 One thing we need to get off our chests - the Xperia Z5 Compact looks thick, really thick. 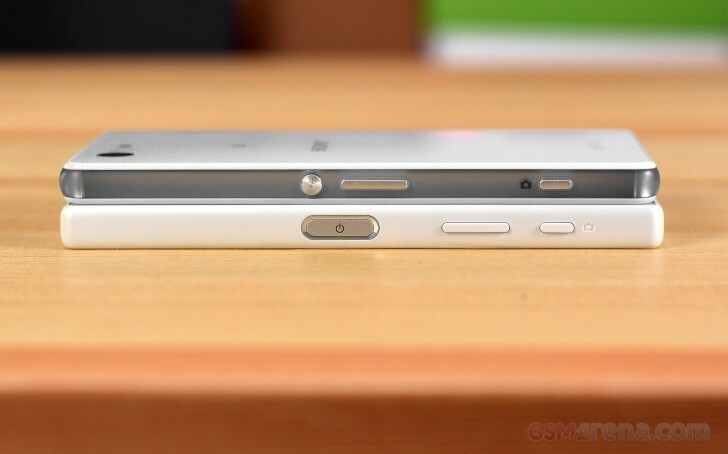 Obviously, Sony had to fit in the same hardware into a much smaller footprint, hence the device had to grow in the third dimension, but at 8.9mm it's 0.3mm thicker than the already chunky Z3 Compact. It's just that the nearly 9 millimeters don't particularly scream high-end. That said, the thickness is not really an issue when holding the Compact. It's the small-sized flagship it has always been since Sony established the niche with the Z1 Compact, a niche where the Japanese are yet to see serious competition. And unlike the downward trend with the big bro, the Compact has actually gotten a bump in battery capacity. To sum it all up, we're just fine with the compromises being made. The frame surrounding the Z5 Compact is made of polycarbonate. That explains why Sony could make it continuous, instead of having the unsightly corner bulges, present on both other models. There's the same fingerprint reader on the right side, and due to the overall dimensions of the smartphone, it's even easier to use. You just have a lot more substance to rest your thumb on. The boxy Z5 Compact handles really well. It's a breath of fresh air in a world where the bulk of smartphones exceed 5 inches in diagonal and the push for thinness often sacrifices usability. It's hard to find fault with the Compact from the standpoint of single-handed use. Except maybe the volume rocker, which is again positioned pretty low, but is also somewhat short on top of that. The obvious downside of the small form factor is, well, you get less screen estate. You're more likely to see the Compact next to someone's ear, rather than in their hands with eyes staring at the display, and that's cool, there are still those who haven't abandoned voice calls for constant texting. Not that the display is bad, on the contrary. It's really bright and despite the contrast compression when viewed from the sides, remains clearly legible. Colors are more than a bit on the cold side, though. The Xperia Z5 Compact will be available in white and black, but also yellow and coral so you can have a really fresh-looking mini flagship.